There is a new X Prize to accelerate technologies to explore the ocean. Shell is sponsoring the competition, which will challenge teams to map a 4km-deep, 500-sq-km area of sea floor using autonomous robots. The award, which is valued at $7m (£4.6m), will have to be claimed before the end of 2018. Previous ocean incentives put up by the X Prize organisation have helped develop oil clean-up solutions and sensors to monitor ocean acidification. The new challenge was announced at the Fall Meeting of the American Geophysical Union (AGU) in San Francisco - the largest annual gathering of Earth scientists. The motivation is the lack of high-resolution maps of the ocean bed. More than 90% of the sea floor has not been surveyed in detail. X Prize technical director Dr Jyotika Virmani said much remained to be discovered about our planet. "It was a Caribbean sponge that gave us AZT, the compound used in AIDS treatments. There are many more medical benefits just waiting to be discovered, but we have no idea because the oceans remain largely unexplored," she told BBC News. Although technologies already exist to survey the seabed at 4,000m down, the particular rules of the Shell Ocean Discovery competition will make even current experts in the field scratch their heads. 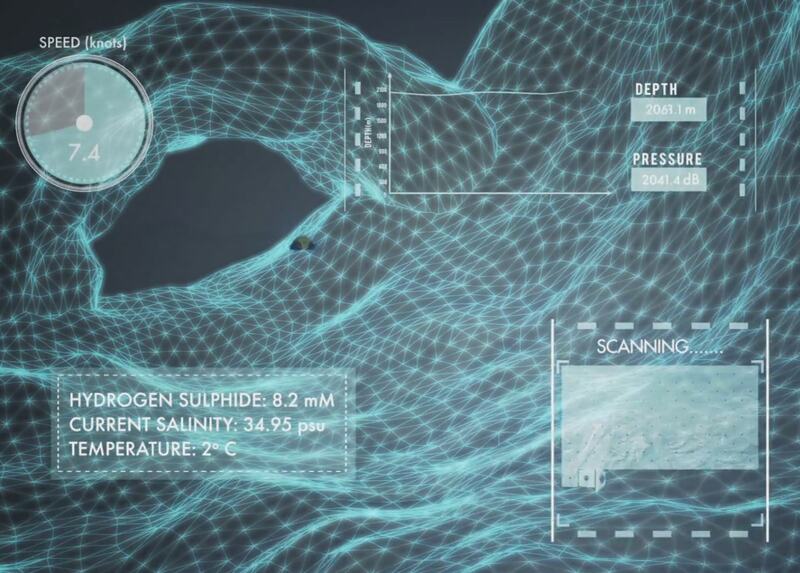 The entrants will have to deploy their solutions from land or from the air; they cannot use a ship or even be in the survey area at the time. So, no cable can be used to remotely operate vehicles; they will need to be fully autonomous. "There's a Planet we've yet to understand. Ours." Dr Jyotika Virmani: "Every time we go into the deep ocean we find something new"
There will be two rounds to the competition. The first, to be held in 2017, will be undertaken at a shallower depth of 2,000m, and require teams to make a bathymetric map of at least 20% of a 500-sq-km zone of seabed in roughly 6-8 hours. The top 10 teams will then go forward to the second round, which will be held at the full competition depth of 4,000m. At least 50% of this area will have to be mapped in 12-15 hours. A scanning resolution of 5m per pixel is demanded. The teams will have to return high-resolution pictures from the deep as well, of a target specified by the organizers. Control and communications in the dark at 4,000m will be tough enough, never mind the consideration of pressure, which will be about 40 megapascals - nearly 6,000 pounds per square inch. "Four thousand metres is certainly challenging and we're looking forward to seeing some very innovative technologies," said Dr Virmani. X Prize CEO Dr Peter Diamandis added: "What we're going to see will be more autonomous; it's going to be smaller; it's going to be cheaper; it's probably going to be swarm in nature. This is what we're seeing because of the proliferation of cellphone technology. Robots are getting much more capable." $1m of the $7m will be reserved for the team that can demonstrate new chemical and biological underwater sensors. To win this, the group will need to "sniff" a target to its source in the survey zone. That prize is sponsored by the US National Oceanic and Atmospheric Administration (Noaa). "Right now we can bring seawater to a lab and detect what chemical and biological signatures are in there. We're looking to develop pioneering, breakthrough technology to do that in situ," Dr Virmani told BBC News. 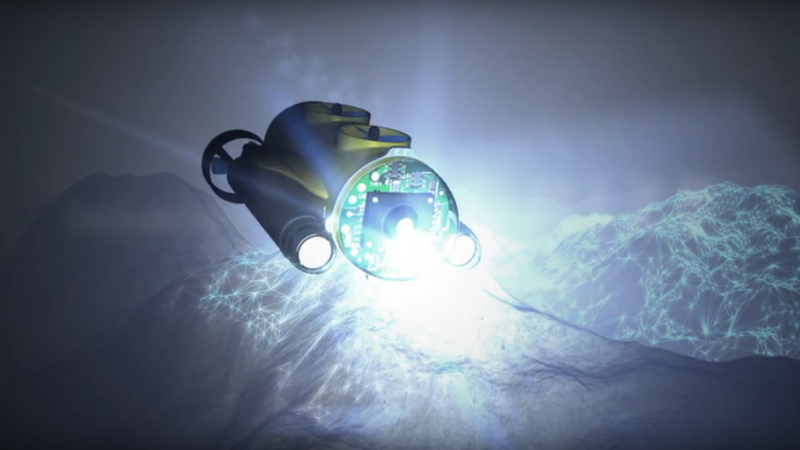 This is the third ocean-related X Prize. The California-based organization plans two more under its Ocean Initiative, which is "designed to identify our oceans' grand challenges and what we can do to solve them". The most famous X Prize saw a privately developed rocket pane fly into space. Other competitions still in progress seek to put robots on the Moon and to develop Star-Trek-style "tricorders" to monitor people's vital signs. The Conversation : Just how little do we know about the ocean floor?